Aiden turned 17 last week. He didn’t want a party but he did want a birthday cake, which I forgot to buy because I was ill. I felt awful for forgetting so the next day when I was better, we went off to Asda and bought him this custard cream biscuit cake. His favourite biscuit is the custard cream so we had to buy it when we saw it! He loved it when he first saw it but was disappointed it didn’t taste like a custard cream biscuit! Ella wanted to bring Aiden’s cake in for him. Aiden didn’t want to be photographed for the blog! My book for the week was The Twins. I really enjoyed it and will be publishing a full review on the blog. I thought my first appointment to give blood was on Thursday. When we on the way, I was checking the letter to make sure I’d filled the form in correctly and noticed I’d missed the appointment. It was actually on Aiden’s birthday, the day I’d been ill. I wouldn’t have been able to go anyway but I feel awful that I didn’t phone to cancel. I’ve organised another appointment in June. I found some Smurf marshmallows at the new Home Bargains store that opened in Lincoln recently. We managed to get some time out in the garden again this week. Well, I say we, Ant did most of the work! It was a hot weekend, weather-wise and I’m afraid it was too hot for me. I did help move the huge pile of branches to the top of the garden and did some weeding on the rockery area around the pond. 1 – The first of my 1 day 12 pictures is a certificate Kaycee received for excellent effort in some of her subjects at school. We’re very proud of how hard she’s working at her new school. 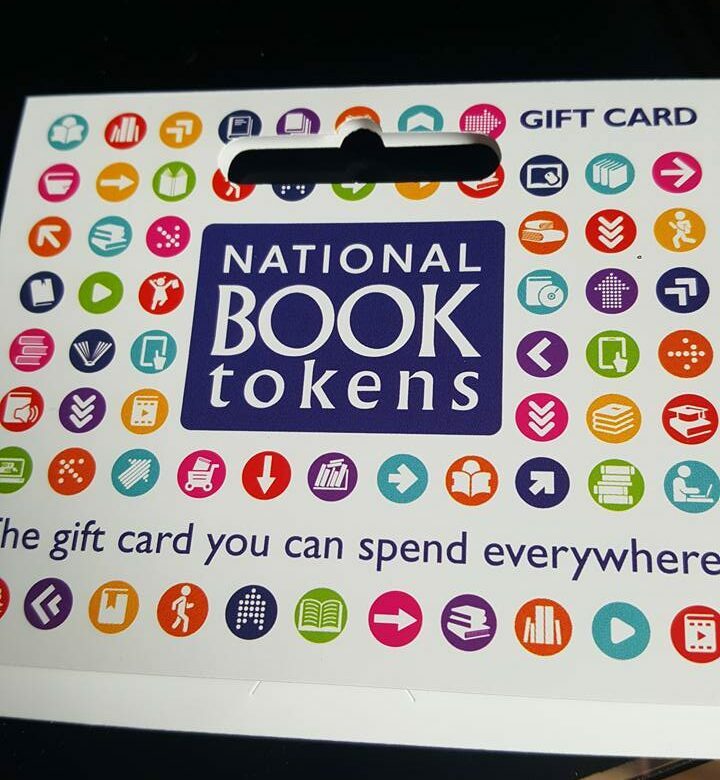 2 – I received a £50 book gift card. If you read my blog at all, you’ll know how much I love books. Which means you’ll know how excited I am to go and spend £50 on books! I’m taking it on holiday with me so we can go book shopping! 3 – The girls have spent the morning tidying the bomb site that was their bedroom! This is the rubbish they’ve removed! 4 – Ant bought me a wax melt warmer before Christmas last year. I hadn’t found a wax melt that I loved until I ordered this one from Tesco. I’m a bit sad that it’s a limited edition. I’ll have to stock up! 5 – Kaycee made this for me at school but she had planned to paint it and didn’t get it done in time for Mother’s day. She wasn’t going to give it me because it wasn’t finished but Ella brought it down and gave it me without Kaycee knowing! I told her it was perfect as it was. 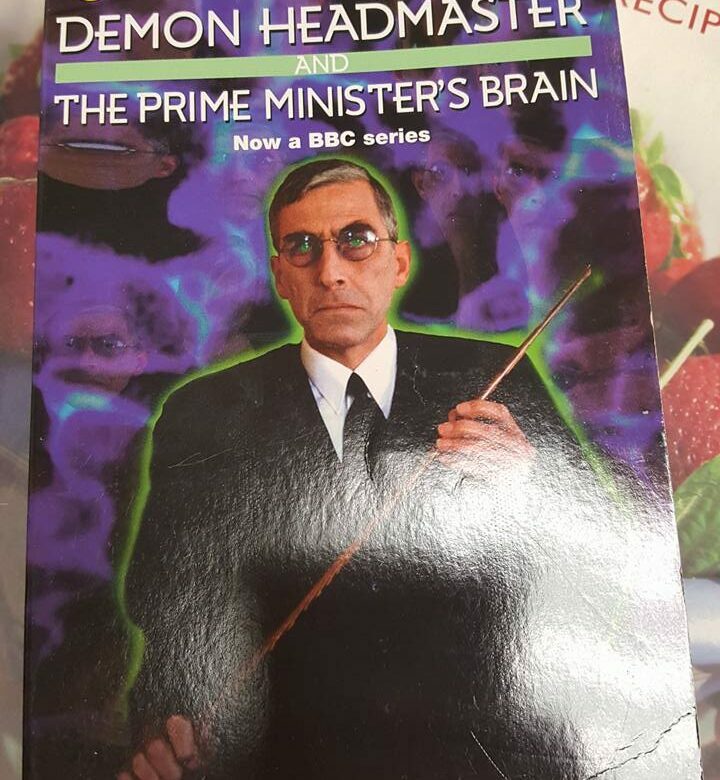 6 – I spent last weekend finishing this book. I loved it. I’ll be writing a full review soon. 7 – Time for an afternoon snack! 8 – I’ve bought a new diary because my other one was a bit small. I spent half an hour transferring my old one to my new one and I did some more blog post planning. 9 – We went to visit Nanny for an hour. 10 – My syn allowance on Slimming World is 25 but I’ve not been doing very well so I planned my menu for the week and dropped my syns to 15. 11 – Ella came to relax and watch something on Netflix after her busy day cleaning her room and helping her Nanny with the polishing. 12 – Kaycee came home and joined Ella. They watched Once Upon A Time. They’re on season 3 now and I think they’re both a little bit addicted to it! All the photos today are from last Sunday. 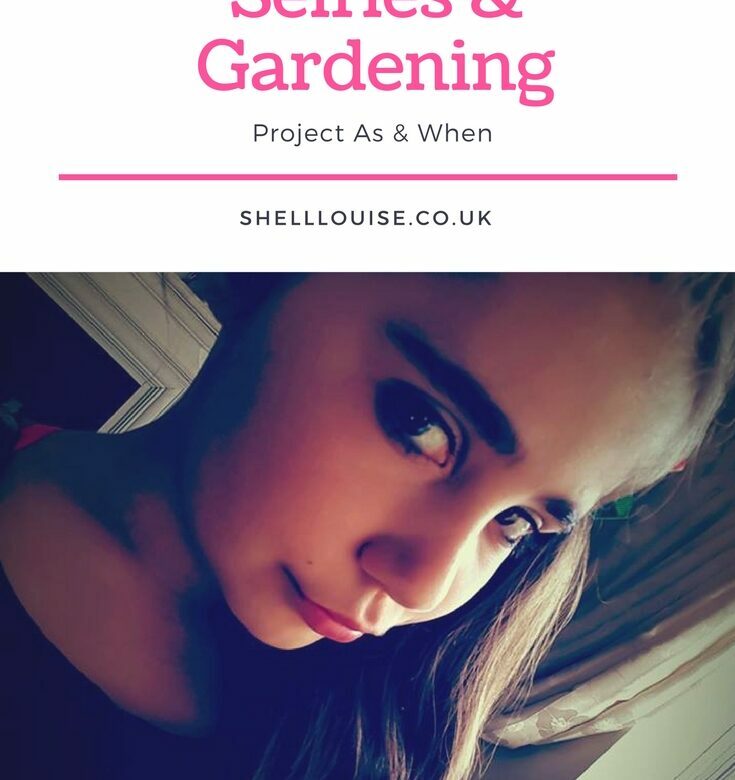 I’ve been busy working on Pinterest and in the garden, this week so I haven’t taken many other photos, again! Give this to the husband when at the shop and demand he pays for your garden lot! I also got some Yankee candles, homemade chocolates, flowers and a gorgeous bookmark. After lunch, when Nanny and Chi-Chi had gone home, the girls painted while Ant and I relaxed. Ant fell asleep and I struggled to stay awake! Ella came to help us dig up the brick path at Nanny’s and Ant transported them to our house, in the car. We have plans to use them in a new raised bed 🙂 We still have the same amount, maybe more, to fetch from Nanny’s. Chi-Chi had to have a bath after helping us in the garden! March 11th – Today we spent the afternoon digging up bricks at Nanny’s so I’m a bit late with my photo post today. 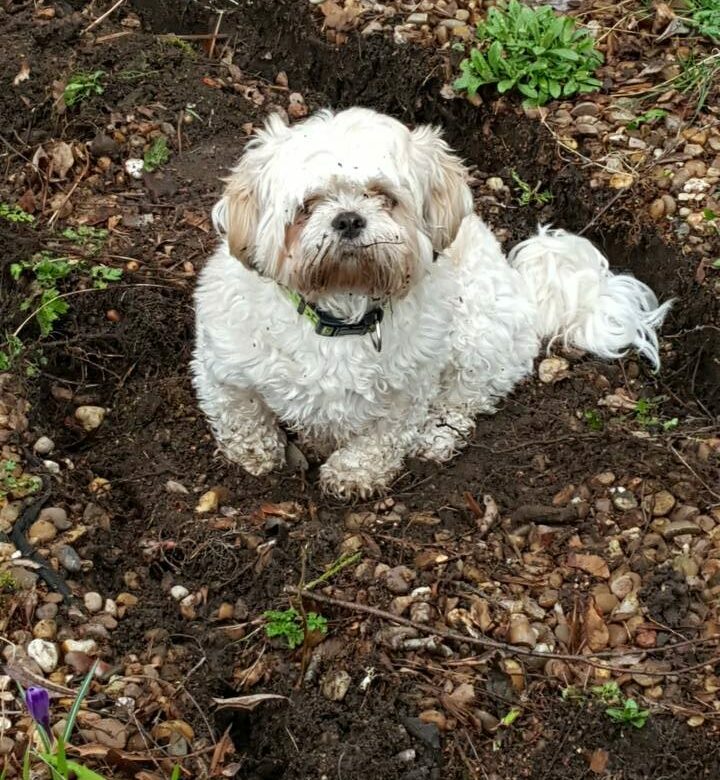 The spade is where I left it after starting the garden a couple of weeks ago. I really need to get out there and get some more done! 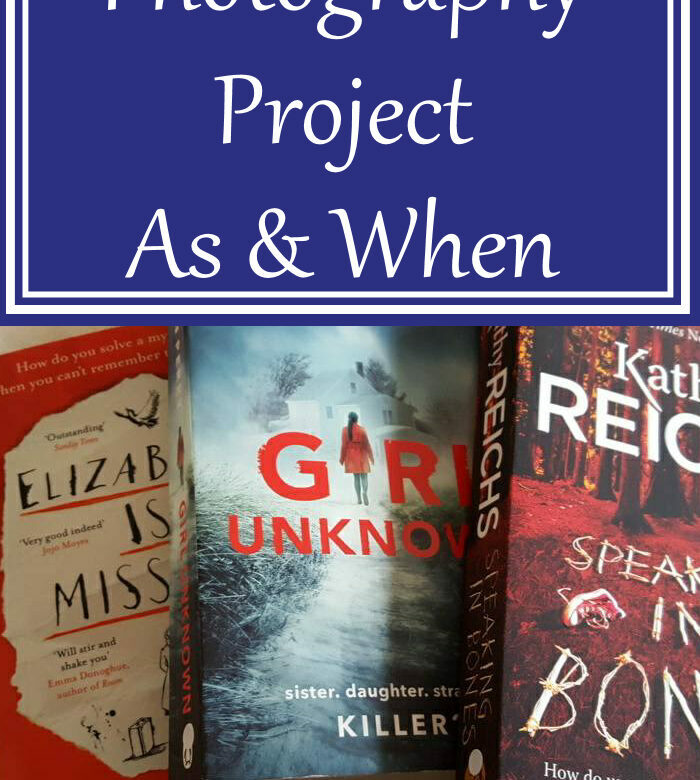 March 4th – Project As And When – New Books! March 4th already! This year is flying by. I’ve taken quite a few photos this week but they’ve mainly been for future blog posts like recipes and book displays. I’ve only got 3 I can share with you today. Kaycee painted my nails and decorated them with little ball things. They annoyed the heck out of me and didn’t stay on very long! I did my usual volunteering on Tuesday morning at the charity shop and came home with more books! Pancake day. Unfortunately, I couldn’t have any because I was getting weighed the next morning! 25th February – I’ve been ill all week so I’ve hardly taken any photos. 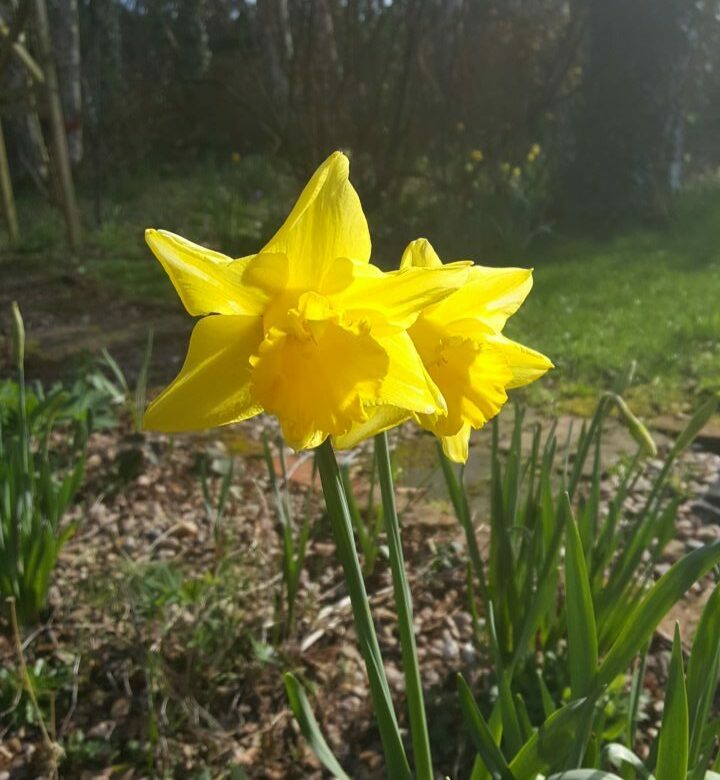 I took a few of the garden on Monday but that was the day I started feeling ill. 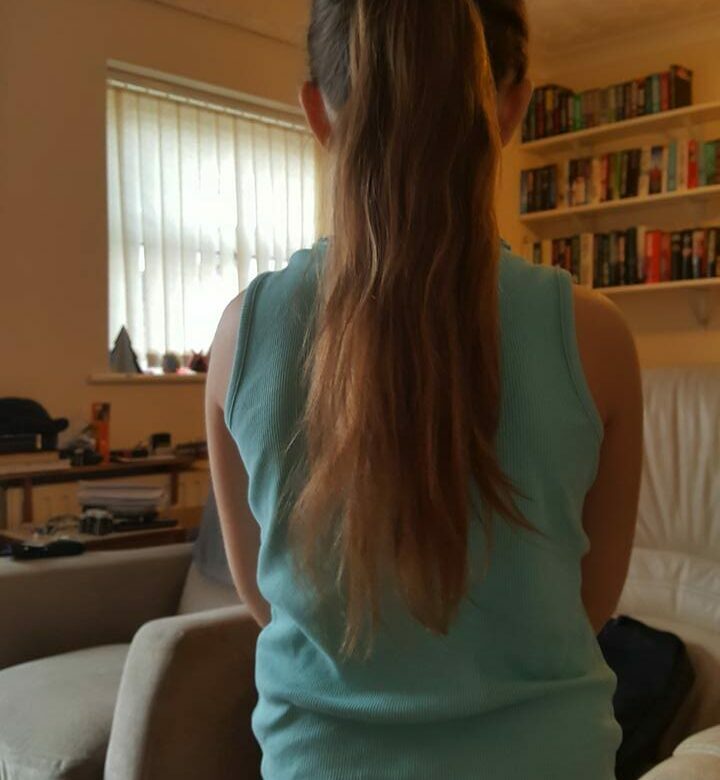 The only other photos I’ve taken are the ones of Ella’s hair so she could see what it looked like before she went to school! I bought her some hair accessories for Christmas. She’s only just got round to using one of them. It’s a plastic bun twist thing that clips together. 18th February – I’ve taken a few more photos this week, mostly due to Valentine’s Day. Ant and I decided not to buy cards and presents for each other as we want to save for a holiday on our anniversary but I saw a meal deal at Tesco and had a voucher for £8. I had pork and Ant had steak. 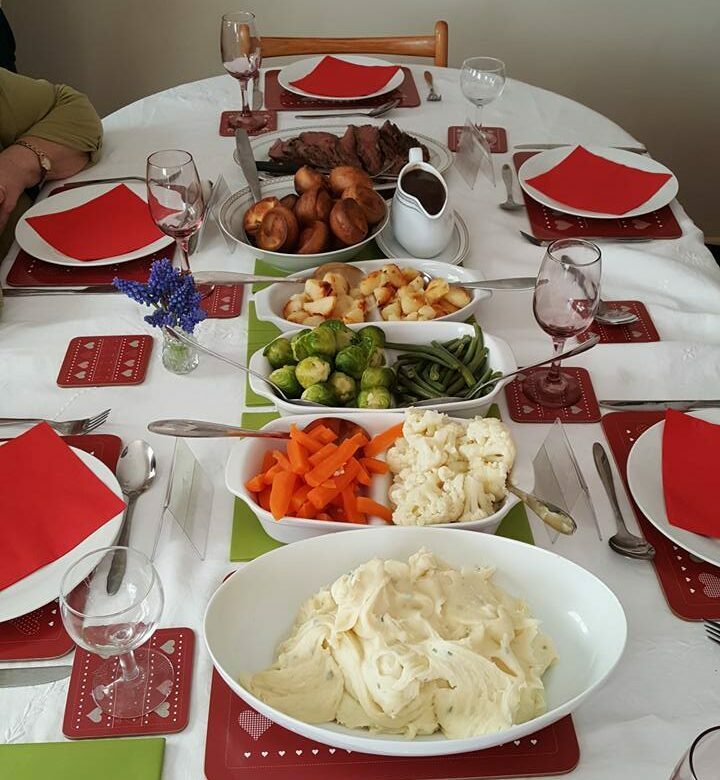 We had dauphinoise potatoes, cauliflower cheese and Brussel sprouts. I had a salted caramel brownie dessert and Ant had cheese and crackers. It was delicious, even if it did help contribute to my 5lb gain I had this week! Ant put the pond back together. We thought it had a leak so it was taken apart before Christmas and left for a few months to see if we could find out where the leak was.